Play and combine. Fancy something different? No day is the same with Dots. Just change them around, put them together and combine. Exactly the way you want, and the way you like. 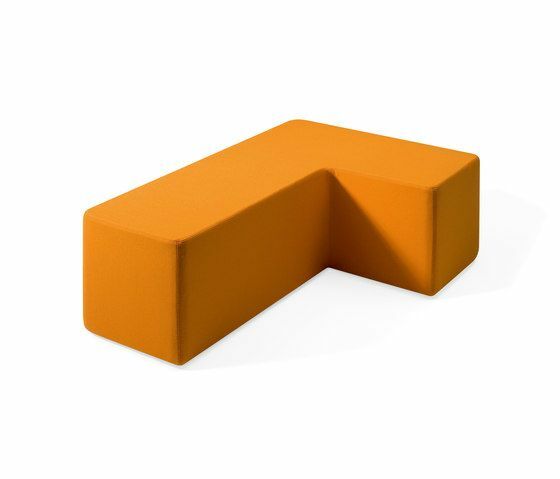 The shape ensures sitting comfort. From stools to letters and from donuts to curves – just play with the elements and enjoy the results. Create group encounters or places to be alone together. Move together and create energy. Everyone feels welcome. Work, play, eat and watch. Dots’ smooth upholstery and rounded corners simply invites you to sit down. Wherever you are and whatever you’re doing. Just try it out – sitting, lounging, lying down. With Dots, everything is possible. There is an increasing demand for a different way of working and living.